Billy Talent (formerly known as Pezz) is a Canadian punk rock band from Streetsville, Ontario. They formed in 1993 with Ben Kowalewicz as the lead vocalist, Ian D'Sa on lead guitar, bassist Jon Gallant and drummer Aaron Solowoniuk . The band existed for almost a decade before mainstream success. The members met and played in Our Lady of Mount Carmel Secondary School under the name Pezz and remained underground in Toronto's indie music scene until 2001. The band renamed itself Billy Talent after running into legal trouble with the old name. It was then that Kowalewicz's connection with an employee of Warner Music Canada's A&R department landed the band a record deal and launched them into mainstream success. 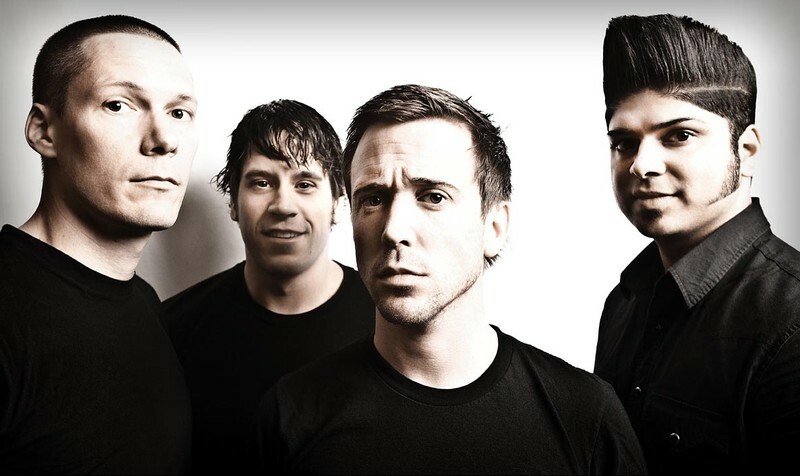 Since then, Billy Talent has made two multi-platinum records in Canada, and continues to expand their success overseas, this included touring for 20 months supporting their third album. They released their fourth album Billy Talent III on July 14, 2009. At an intimate gig in Brighton's Concorde 2 on May 29th 2012, Ben revealed that the band's fifth studio album will be released in September which will be followed up by a full UK tour over the course of October and November 2012.